As of last week, 497 of the 2,654 migrant children that the Trump Administration took from their parents at the border are still in federal custody. Today, the Department of Homeland Security (DHS) proposed a regulation to further inflict trauma on immigrant children by making it easier to imprison children and families indefinitely and rolling back critical protections for children in custody. Earlier this summer, Americans spoke out against the Administration’s ‘zero tolerance’ policy because separating children from their parents causes trauma and toxic stress that can have lifelong negative impacts on their mental and physical health. Yet this new proposal to repeal the Flores agreement and cage children and their families indefinitely is as unjust, cruel, and callous. This simply trades one source of childhood trauma for another. The proposed rule is open for public comment over the next 60 days. 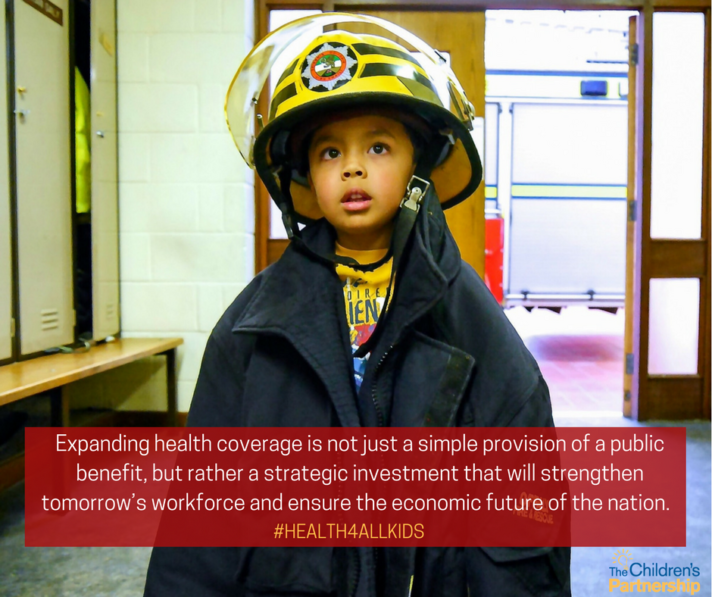 As an organization that focuses on putting our children’s wellbeing first in policymaking, The Children’s Partnership will submit comments opposing the rule and encourages our partners to do the same. The public plays an important role in the rulemaking process by commenting on proposed rules. Your comments can help shape the Department’s decisions. Visit Regulations.gov to leave your comment. Email: ICE.Regulations@ice.dhs.gov. Include DHS Docket No. ICEB-2018-0002 in the subject line of the message. Mail: Debbie Seguin, Assistant Director, Office of Policy, U.S. Immigration and Customs Enforcement, Department of Homeland Security, 500 12th Street SW, Washington, DC 20536. To ensure proper handling, include DHS Docket No. ICEB-2018-0002 in your correspondence. Mail must be postmarked by the comment submission deadline. Hand Delivery/Courier: Visitor Entrance, U.S. Immigration and Enforcement, Department of Homeland Security, 500 12th Street SW, Washington, DC 20536. 8:52 pm - March 14, 2019. I discovered your website from Google as well as I need to state it was a great find. 4:28 pm - April 3, 2019. Such a terrific article. Looking forward to the next one. 4:47 pm - April 3, 2019. Great post. I can’t wait to share it with pals. 1:49 am - April 4, 2019. Such an intriguing post, I’m delighted I stumbled upon your blog.